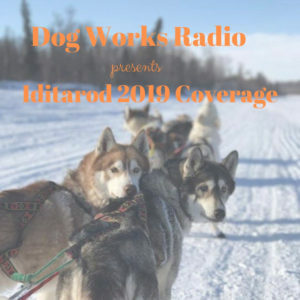 Join hosts Robert Forto and Alex Stein as they present their daily coverage of the 2019 Iditarod. On this episode we wrap our annual coverage of the race. It was an amazing couple weeks. We met a bunch of new fans, had some great experiences and learned a lot. Host, Robert Forto’s Bio: Robert Forto is the training director for Alaska Dog Works where they train dogs for canine obedience, working dogs, therapy dogs and service dogs for clients all over North America. He is also a dog musher and he and his wife operate a 40-dog mushing kennel in Willow, Alaska, called Team Ineka. They can often be seen at local races and leading expeditions in the Alaska backcountry with outdoor leadership students at the University of Alaska. Robert is the producer of Dog Works Radio that has been on the air since 2009 and is currently simulcast on a local radio station, KVRF in Palmer, Alaska. Host, Alex Stein’s Bio: Alex M. Stein is a writer, documentary filmmaker, and storyteller living in Los Angeles while pining for the Northern Lights. He is the author of the personal essay collection NO, MR. BOND, I EXPECT YOUR DREAMS TO DIE and directed the Iditarod documentary MUSH. He was married in Alaska, above the Arctic Circle, at the northernmost saloon in the world, by the bartender. Alex has been a host on Dog Works Radio since 2012 and he can be heard on our mushing broadcasts and during our annual nightly Iditarod coverage each March. Thanks for Listening! We appreciate your visiting our site today and for help in bringing awareness to the Dog Works Radio podcast. Help us spread the word! We would love if you could please share #DogPod with your Twitter followers. Feedback and Promotion You can ask your questions, make comments and request a show topic! Let your voice be heard.